i'm just installing and testing the recent Beta of APhoto and i can just say OKAY IT WORKS REALLY OKAY ! But ... because there is still a But ... i think Blending modes needs to be arranged or organized according to what they are intended to do. What i mean is simply represented in the attached capture. Well i know this is from another software but also it is not bad to copy (and making better of it) something that already exist. Hope this won't bring up a long discussion or a troll in here but also to every one who ever think this can/could be a nice thing please leave your inputs to help the devs understand it and maybe implement it. I don't know that I would say this *needs* to happen, but it would certainly be nice if it did. Hi, It's a pretty good idea! Why stop there? Let's make it in alphabetical order too. In all fairness though, I think this is a good idea. It looks like we may have, at one point, attempted to do it in a similar order but as the app has grown, we've just stuck new ones on at the end. I'm going to log this as an improvement. I think the bars/dividers in the other app are quite helpful too. I suggested this 2/3 years ago... its really time to implement this. Should be not so complicated! 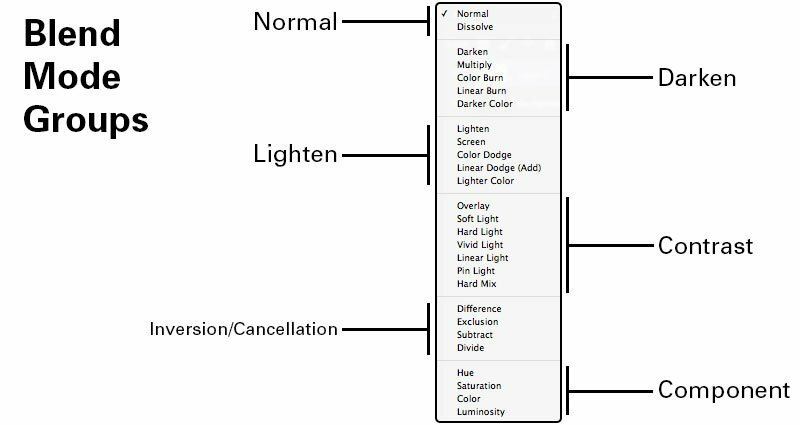 And please do not stop with blend-modes - also the adjustments could be "categorized", in the menue it is, but not on the other two "shortcut places"
@Chris B this is nice contribution from our friend possible to Log it too ? I'm pretty sure that the days ahead are brighter. BTW: Ok, this is more a really feature wish: But for all of them filter/adjust/blend... there could be a favorite-category too: I normally just use 5 blend modes and maybe the half of adjustments. But here its not so important: But for the filters and their sub-folders it would be really nice, to have the favorites at one collect-place too. I have maybe 10 daily-use filters in different folders. It would be nice two have them as "shortcut" in a top-place favorite-folder. But yeah this needs some developing, so just keep this in mind for later versions. Even if you add those separator lines this menu would still easily fit on my screen. A "favorites list" is far less important for this than for fonts, where the list goes on for miles. in fact, this is all good. Separator on one side and Favorite on the other, they both work for the best according to me ! Well yes @fde101 it is possible to make it fit. In this case i would suggest the add of a top search bar when it comes to filters/blending modes etc. and this can also be a basis for fonts too. Yet we can search by typing in it's originate field but personally i often forget about hopefully there Serif place categories which help a lot. So a bit of recap ! Separator to make blending mode and filters to be more organized and make things easy in the global workflow. Maybe there is other stuff peoples would like to add to this request that will help @Chris B to make better documentation of this but please guys MAKE IT GO INTO the SAME DIRECTION as already discussed and asked. later i will drop a video capture that may help with the understanding of the favorite menu and search bar. Let's help Devs to clearly understand what we ask and let's ear what they have to tell us. Also devs should gives some quick drawing (if possible) of how they think it could work vs what we asked and think it could work; but this is optional and must be linked to what they are allowed to share or talk about. There is already a favorite for fonts! Since 1.5! But however, on mac, its more useful to use native font-app to organize your fonts (like serif, non-serif, handwritten, grungy... whatever you want). It works pretty well with Serif-apps hand in hand! Just hack cmd+T to see the sign-panel. There you can easy "dropdwon" and filter just the fonts from the category you currently need. 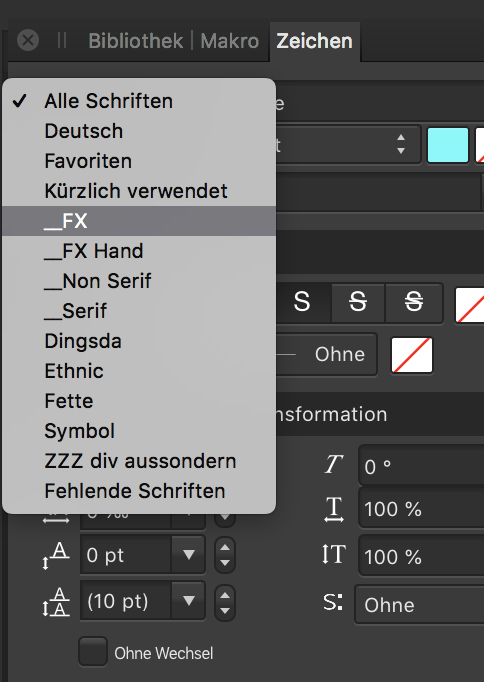 Well it would mmore comfortabel if the access to the font-app-categorys would be possible directly from the text-toolbar, but even with this extra-step its quite comfortable. I prefer this global solution (just the access to font-book-categorys) more than app-individual-solutions. With this method ALL compatible apps can show/list the categorys from font-book and i do not have to organize my fonts in each app separately. One-time-for-all- organizing in Fontbookapp is quite easy and comfortable. Even batch-"move" is possible. The "folders" are smart "albums", so a font can appear in several categories, if you like. There is already a favorite for fonts!